This week we had to pick what we wanted to work on from the previous post, and talk about its shape language. For this assignment Tiffany and I were assigned to work on the characters. 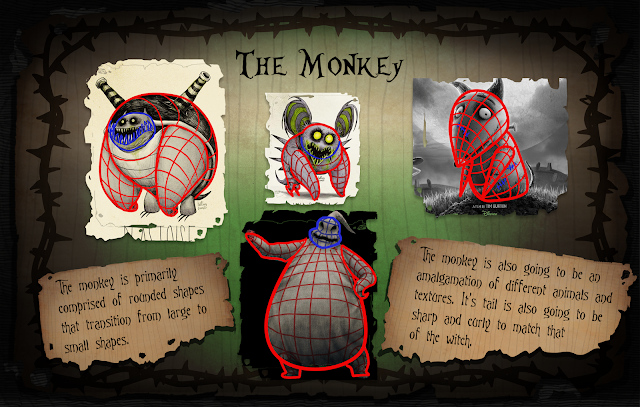 We conceptualized the characters and ended up splitting the proxies and I worked on the monkey companion. 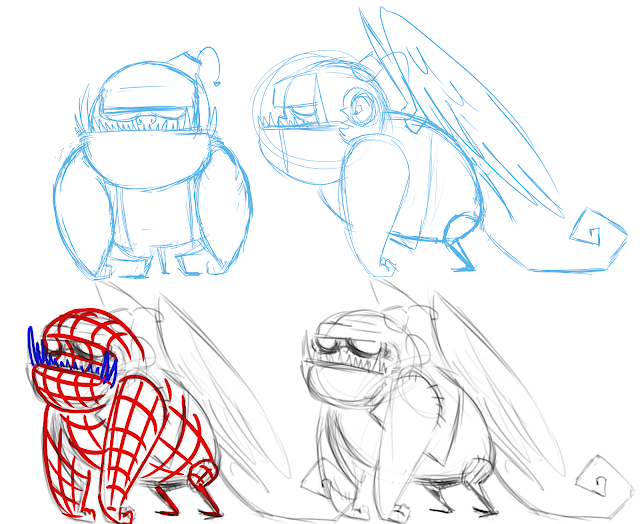 After working on the shapes for the characters, I then did perspective views to help me with creating the proxy model. Below is my process and how it ended up. The shape breakdown is pretty clear, the wireframe aspect is a bit too dense in lines and take the wireframe part and ghost it back a bit more. You can also ghost back your images that you are analyzing. On your 3d mdodel, clean up your hard edges and increase the thickness of your tail.